BabyBarista ('BabyB') is a pupil barrister, vying with three other pupils in his chambers for the lucrative prize of a tenancy. His pupilmaster tells him that "litigation is like war", and hands him a copy of The Art of War, the famous manual on warfare written in the 6th century BC by Chinese military strategist Sun Tzu. The advice is not lost upon BabyB, who proceeds to utilise Sun Tzu's wisdom in his own war against his fellow pupils. What follows is a non-stop romp through BabyB's year of pupillage, in which he (almost) shamelessly uses every underhand tactic available to him to ensure that it is he rather than his rivals who is awarded the coveted tenancy. Along the way we witness blackmail, deception and all manner of dirty tricks being employed by BabyB, yet we never lose affection for his character. Perhaps that is in part because some of the other characters are equally venal, or just plain unpleasant. And this does not just apply to the other pupils. Kevan paints a wonderful picture of not just the modern Bar but the legal profession generally as we meet greedy, vain and self-serving barristers, corrupt solicitors and even a shoplifting judge. What of justice? Well, it hardly gets a look-in throughout, with the interests of the lawyers (including the judges) taking precedence, and cases being settled for their benefit (pecuniary or otherwise), rather than the benefit of the parties involved. "Like a croupier in a big casino, all they were doing was administering other people's bets" comments BabyB of claims lawyers. When we do get into a courtroom, we find that "for all its airs and graces" it "is just as much of a low-down, dirty free-for-all as pupillage", with decisions hinging upon the skills of the barristers, rather than on the merits of their cases. BabyB himself soon comes to this realisation: "you get the result you pay for”, he says, "as for justice, I think it's time we're honest and simply stick it on eBay and see what it fetches." But the book is not just a one-dimensional tirade about the excesses of the legal profession. There are characters who really do care about what they are doing, and we are regularly treated to brief interludes that have little or nothing to do with the main story, but are amongst the most amusing parts of the book. I hesitate to use the cliché, but some of these are genuinely laugh-out-loud. 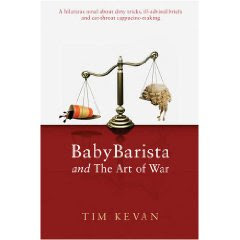 So, what is one to make of BabyBarista and The Art of War? It is obviously well thought-out and cleverly written, but was it Kevan's intention to 'blow the lid' on the profession? I think not. True, many of the plot lines and anecdotes contain a grain of truth, but this is not serious stuff, much as those with an axe to grind against the profession may wish it to be. The aim is unabashed amusement, the main players are intentionally caricatures and the plot lines are unashamedly exaggerated. The result is pure comedy: no more, no less. Did I enjoy reading the book? You bet I did, and any lawyer who doesn’t is taking themselves too seriously. But this book is not just for lawyers – I would recommend it to anyone seeking an entertaining read this summer. 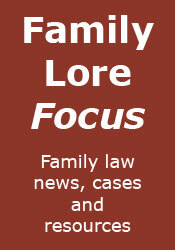 Other blawger reviews of the book have been written by Charon QC and Geeklawyer. I've been wanting to read this book! It sounds like something I'd love to read so thanks for the review John! No problem. Looking forward to your comments! Is ther much in the book which wasn't in the blog, would you say? As a long term reader of the blog I'm wondering whether it is worthwhile buying the book as well. To be perfectly honest, I've not gone back and compared, although I think the book expands upon the blog. In any event, I would recommend buying the book as many of the stories have slipped from memory, and it is far better reading it as a whole.